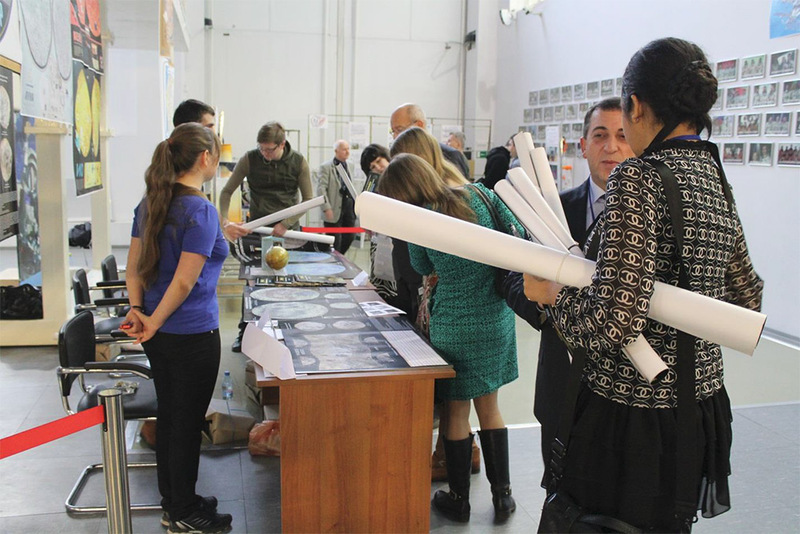 MIIGAiK Extraterrestrial Laboratory (MExLab) continues celebrating the International Map Year in Russia. 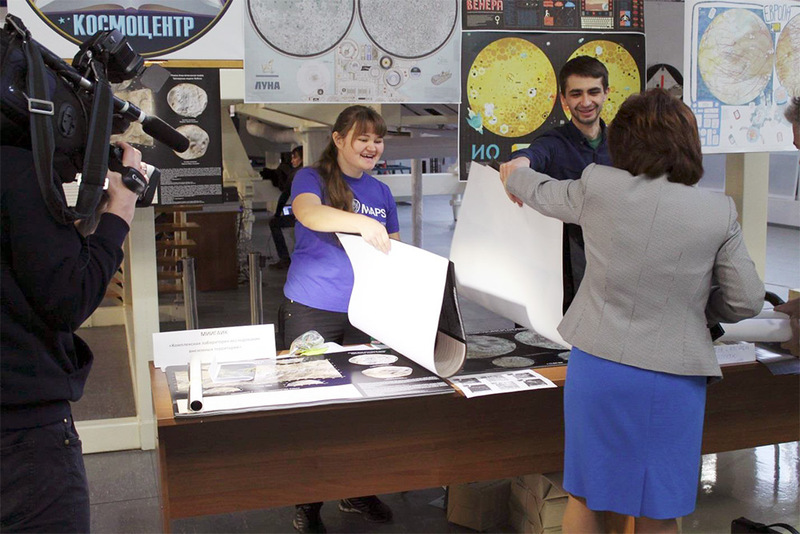 We organized a Planetary map exhibition at the XI International Scientific and Practical Conference “Manned Space Flights”. The conference which was hosted in Zvyozdny gorodok at the Russian Research and Test Cosmonaut Training Center named after Yury Gagarin, was dedicated to the 55th anniversary of this center. 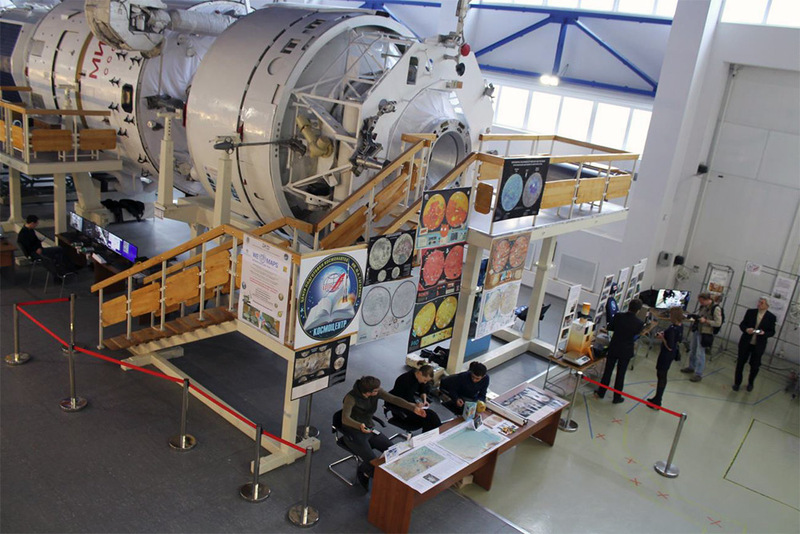 The main purpose of this center is research on the creation and operation of manned spacecrafts, cosmonaut selection and the training process of in-flight activities for cosmonauts. Extraterrestrial maps are very important for cosmonautics, e.g. for navigating spaceships and for choosing appropriate landing surfaces on the planets. So we are very enthusiastic to contribute for the Conference our planetary maps, especially today, November 17, in 45-year anniversary of the Lunokhod-1! Lunokhod-1, the first unmanned rover on a planetary body, was deployed to the lunar surface and started its 10km journey in the Mare Imbrium on the 17 November, operated remotely from Earth. During the mission about 200 detailed panoramic images were transmitted to the Earth and provided unique scientific experiments. New mission of Lunar Reconnaissance Orbiter (LRO) allowed us to study Lunokhods landing sites in more detail, refine rover tracks, give names to the craters along the route and create an accurate map. Planetary Maps for Children prepared by the ICA Commission on Planetary Cartography. Don’t forget to keep an eye on our website (http://mexlab.miigaik.ru) and follow us on twitter @MEx_Lab!